I love the sound of a proper sized guitar amp pushing loads of air around the room and shaking the walls as much as the next man........ But it just isn't always practical. You can't play a"Super Lead" and a 4x12 along to an iPad. 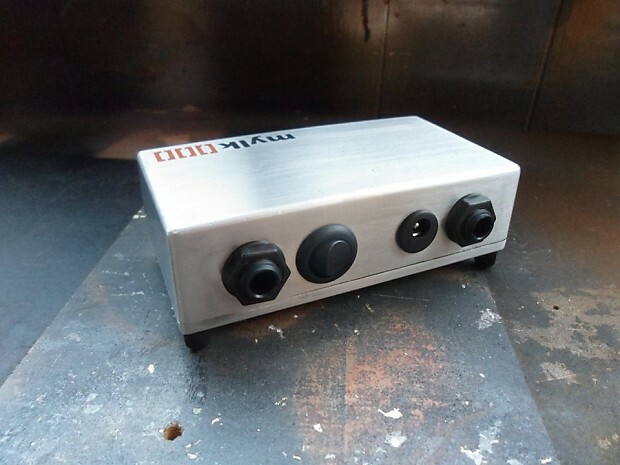 I keep funny hours and I live in a small house in England which is connected to my neighbours by an adjoining wall.....Let's just say I have built up quite a collection of mini amps and headphone amps over the years in order to keep the piece with my nearest and dearest. Some I have really liked, others not so much. But I have never found anything that really does what I want it to. So I decided to put my time spent studying product design at university to good use and design my own. 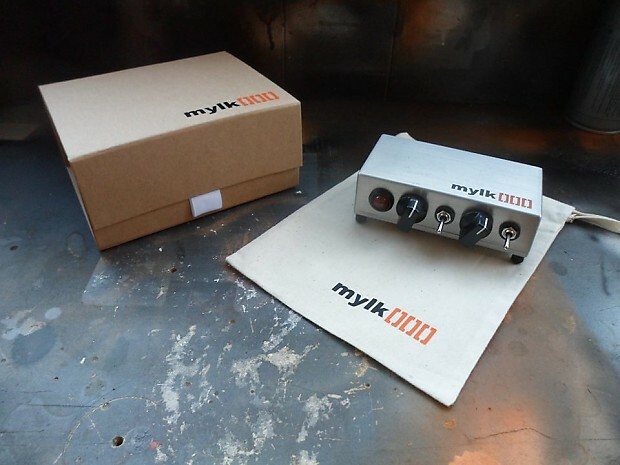 The mylkamp is the result of 3 years worth of designing, testing and tweaking. I hate wires trailing everywhere, I hate having to wade through patch banks and menu’s and I hate turning the volume down to an acceptable level only to find I have lost every shred of bite and definition from my tone. .....and when you are done practising quietly, (or not so quietly, even through the internal speaker, at full volume this thing is loud) Plug it into your favourite speaker cab and you have a fully functioning micro head that will give most full size tube amps a run for their money. You can even plug it into a 4x12. • Built using the Lm386 chip (of Smokey amp fame)which is Legendary in DIY electronics circles thanks to its graceful overdrive characteristics and “Tube like” sound (If you have ever plugged a Smokey amp into a 4x12 cab you will know exactly what I mean) Unlike most solid state power amp chips which clip like smashed glass being scraped down a gravel drive, the 386 chip clips like a really nice overdrive pedal which is why it is so popular for guitar circuits. • Buffer/Booster/overdrive – Pre amp which is based on a classic stripped down ‘Tube screamer’ circuit capable of pushing the amp from bluesy crunch to Face melting metal lead. 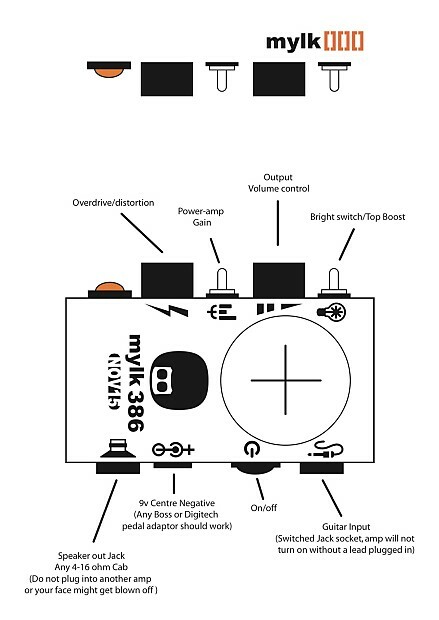 • Separate Controls for Pre-amp and Power AmpGain - (Drive Knob & 3 way Power Amp saturation switch). 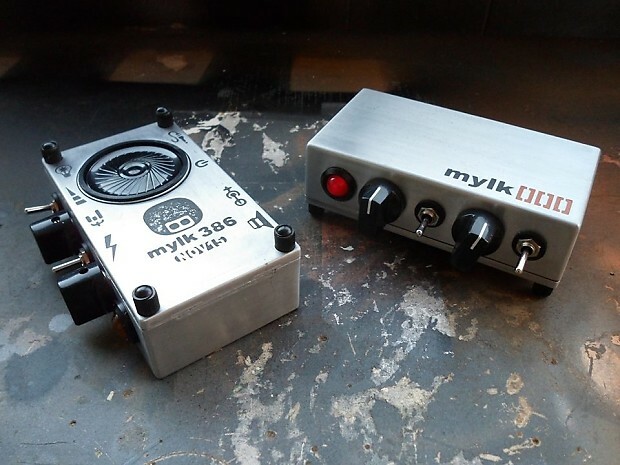 • Output Volume control which works exactly the same as adding an “attenuator” to a Tube amp allowing you to turn down the Volume (after the power amp) without losing all the glorious crunchy, spongy distortion that is the 386 chip’s party piece. 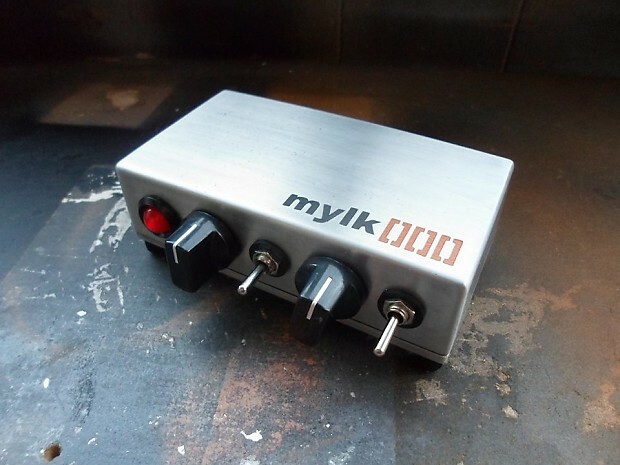 • Top Boost switch allowing you to compensate for dark sounding humbuckers, boost the Treble frequencies for solo’s or just add some extra squeal to your pinch harmonics. • Inbuilt speaker - The downward facing speaker design reduces the Harsh, Farty treble noise associated with small speakers and helps add some ‘Air’ and bass to the sound like a really mild reverb.. It’s the same as the old trick of turning a ‘Smokey Amp’ face down or putting a plastic bowl over the top………It just sounds better. This is something I have been experimenting with for a few years now and I wouldn’t use small speakers any other way. 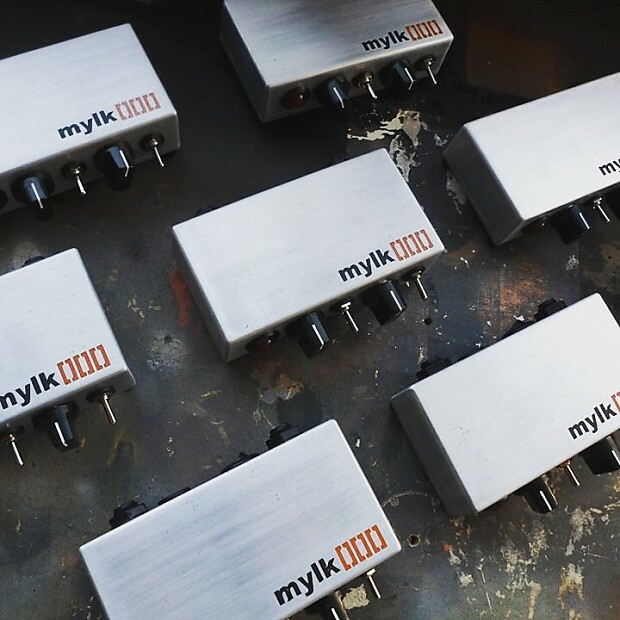 • All amps finished in Brushed or polished Aluminium with Graphic design Acid etched into the box for a super resilient finish that won’t chip, crack or fall off half an hour after getting it out of the box .. (although they are fingerprint magnets, I'm not gonna lie). 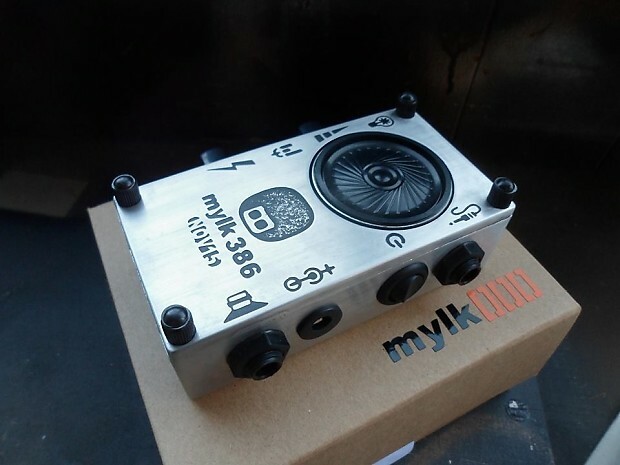 Hand made from start to finish one of a Kind mini amps, designed and built solely by me. 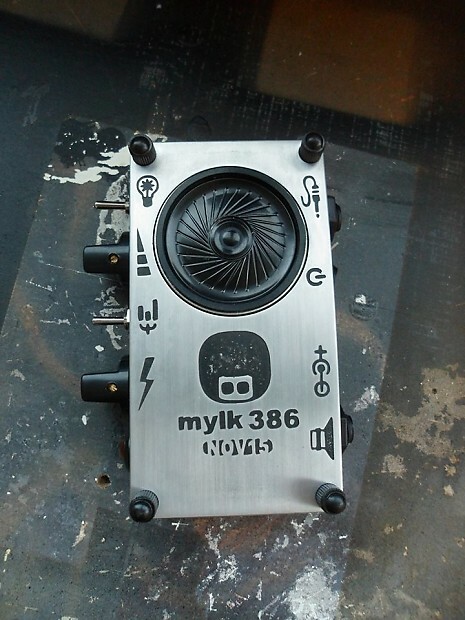 From etching the PCB’s, Drilling and polishing the boxes, to designing and hand etching the graphics.